If anyone knows business pitches, it is Kevin O’Leary. A successful entrepreneur himself, he now listens to the pleas of other entrepreneurs and startups as they pitch their ideas and hope for an investment deal on the hit ABC television show, Shark Tank. As a primary investor in all seven seasons of the series, he has participated in over 100 episodes and has listened to hundreds of pitches from hopeful business owners. At SXSW 2016, I was able to steal a few minutes of Kevin’s time for a quick interview. I asked him about his advice for small business owners who are just starting out, and he shared two excellent tips. No spoilers, you’ll have to click play below to get Kevin’s valuable advice. 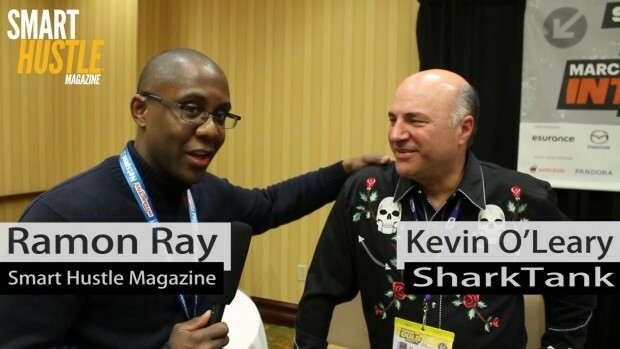 Of those hundreds of pitches that Kevin has listened to on Shark Tank over the years, the business owners who were able to articulate their ideas in 90 seconds or less were most likely to get a deal from one of the Shark investors. #Entrepreneurs, here are @kevinolearytv's 3 rules for giving the perfect #business pitch. This advice demonstrates the fact that even if you have a great idea, you (personally) many not be the best person to turn that idea into a successful business. To deliver a truly compelling business pitch, you must know your numbers so the potential investors can make an educated decision on whether or not to do business with you. If you don’t know crucial numbers like costs, profits, and revenue, you’re clearly not ready for a deal. Although most small business owners will not make it to the stage to pitch in front of the Sharks, pitching is an important skill to learn. While you may not ever pitch for investment money, you certainly will need to be able to pitch your business to customers, and the same rules hold: your marketing pitch must also be condensed (rule 1) and convincing (rules 2 &3). In this way, Kevin’s rules for giving a perfect pitch may help some of you reading this to raise funding for your business. For others, the rules can serve as reminders for what makes a compelling marketing pitch.